Source Material Media Reports And Other Published Information » Mr. Dunn Goes to Montgomery | Who's Behind the Mask? Only J.D. Crowe could come up with, Puppet Service Commission. The Al.Com cartoonist brilliantly skewers Twinkle Cavanaugh and Jeremy Oden. Below are links to some of the many news stories, editorials and source material regarding the PSC’s recent review of Alabama Power’s rates. The first group contains news stories in Alabama newspapers as well as editorials and opinion-pieces that take a “pro-Dunn” position. The second group contains op-eds and other pieces that are critical of Dunn and supportive of Alabama Power. 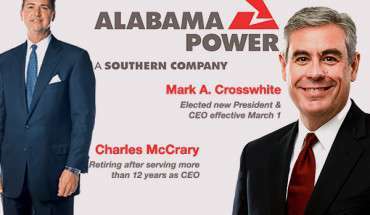 I suppose one could say that the general position taken by those in the second group is that Alabama Power’s Rate of Return on Equity is reasonable. John Archibald. The Birmingham News/Al.Com columnist has been a thorn in the side of Alabama Power and Twinkle Cavanaugh. Archibald combines humor and strong opinion with something rarely seen in columnists: Original reporting and research. Ben Raines’ stories examining the high rate of return allowed Mobile Gas put the Alabama Public Service Commission in a harsh light, and when that harsh light moved on to Alabama Power, the attacks on Dunn began in earnest. 11. Environmentalists Paid to Kill Alabama Coal Jobs (Op-Ed for Al.Com by George Barber, the president of the Alabama Coal Association. Bombastic radio talk show host Matt Murphy, left, often has his pal, Cliff Sims, on his show. 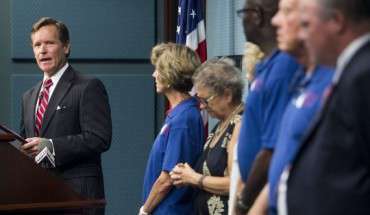 Murphy’s bullying treatment of Terry Dunn’s chief of staff David Rountree (link above) is hard to listen to.